Kristyn Wong-Tam says pedestrian deaths are in Toronto are on the verge of becoming a public health crisis, and that’s why she’s pushing the city to fast-track a program designed to make the streets safer. On Tuesday night, as Coun. Kristyn Wong-Tam was waiting to find out if her latest motion would be heard by council before they adjourned for the day, a 25-year old woman was killed by a car as she tried to cross Sentinel road in North York. It was the fifth pedestrian fatality on Toronto streets in less than a week. 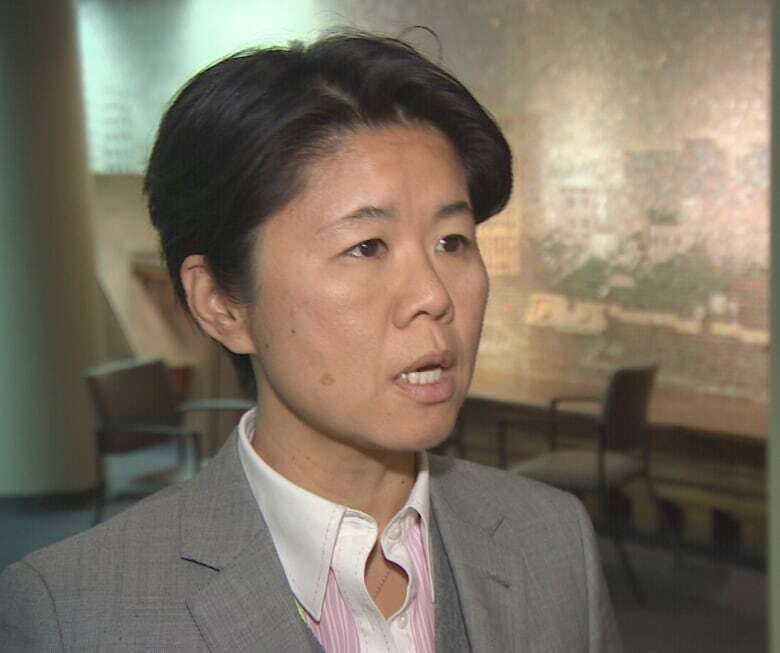 Wong-Tam, who represents Ward 27, Toronto Centre-Rosedale, says pedestrian deaths are on the verge of becoming a public health crisis, and that's why she's pushing the city to fast-track a program designed to make the streets safer. "I think that if we can do more as a city to prevent serious injury and deaths, then we should do so," Wong-Tam said. "What I'm proposing is that we accelerate the roll out of this plan, and to do everything we can to save lives." The plan she's referring to is the Vision Zero Road Safety Plan, a five year initiative that aims to reduce traffic-related deaths. Wong-Tam's motion, which will be considered by council Wednesday, calls on the city to get the implementation done in two years. Creating seniors' safety zones at 12 locations. Installing red light cameras at 76 new locations. Conducting road safety audits at 14 locations at high risk for collisions. Lowering speed limits along 32 more corridors. Increasing pedestrian walk times at 50 more intersections. Expanding the school "Watch Your Speed" program at 20 more locations. While Wong-Tam supports the plan, she believes five years is too long to wait to fully implement it. But not everybody agrees with her, including the chair of the Public Works and Infrastructure committee, which oversees Vision Zero. Coun. Jaye Robinson actually authored the motion to bring the Vision Zero plan to Toronto. 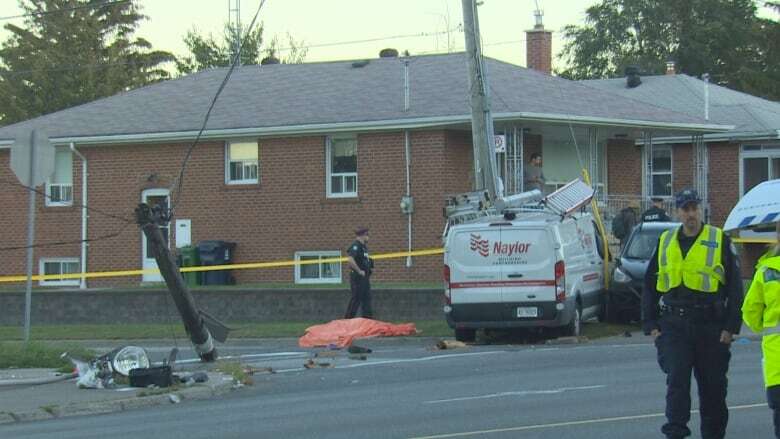 It was passed by council last year, which was also the deadliest for pedestrians in a decade. Forty-three pedestrians were killed on Toronto streets in 2016. Robinson says Wong-Tam doesn't realize is the plan has already picked up speed on its own. "We've been accelerating it the whole way through. We've been adding staff as quickly as we can add them," Robinson said. "We've been spending more money and we've been rolling things out faster than ever before." Robinson says changes are already happening throughout the city. She says in many communities, intersections have been reconfigured to make them safer, and they've rezoned many areas of the city. "We've been focusing on senior safety zones, as well as this fall we've launched, for children, school safety zones," Robinson said. Robinson doesn't deny that it's been a tragic seven days on Toronto streets, but she says the overall number of fatalities is down this year compared to last. There have now been 26 pedestrians killed by vehicles so far this year. But that won't deter Wong-Tam from bringing her motion before council. "It does not excuse us from doing the work faster," she said.